What can gaze behaviour can tell us about wayfinding and spatial information processing? How different navigation task inﬂuences gaze behaviour during wayﬁnding. In our research we use static eye-trackers (EyeLink 1000) as well as a head-mounted ambulatory eye-tracker (Dikablis wireless). 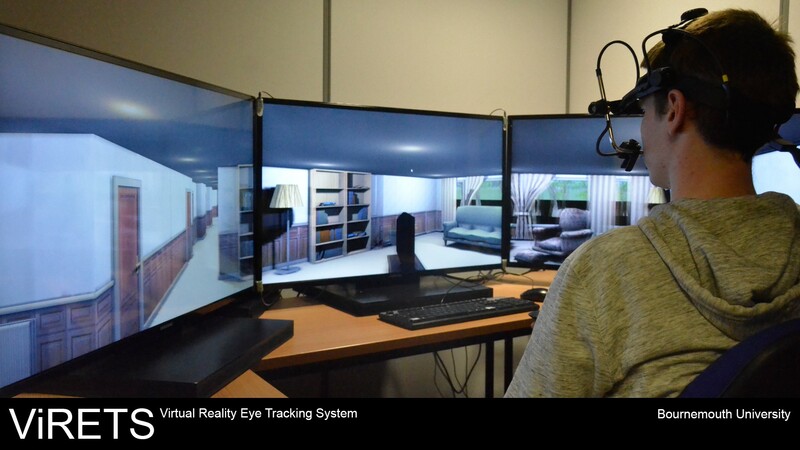 We record gaze behaviour in freely moving participants and combine virtual environments and eye-tracking technology (for more information about our eye-tracking facilities, please visit the Bournemouth University Eye-tracking Laboratory webpage).